Spelling & Capitalization on ! The relationship between how words are pronounced and how they are spelled is often unpredictable. In addition, many of us don’t know when words should be capitalized. 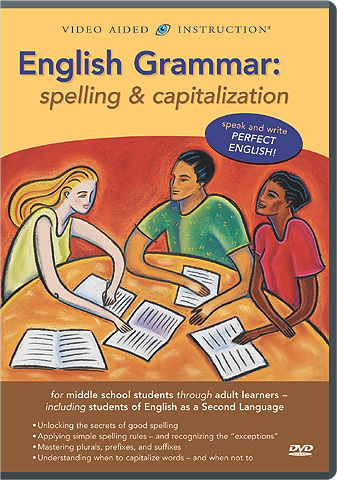 In this program, you’ll learn simple rules that can instantly improve your spelling and capitalization, which words are “exceptions,” and how to distinguish between often-confused words! So don’t let mistakes in English grammar embarrass you — now you can eliminate them from your speaking and writing forever. Let Video Aided Instruction be your guide!